There are various of genres on which the plot of the movie is based. From Comedy to Action and Adventure. But one genre which inspires people the most and teaches them the lessons of life, which in fact is not a genre, but you can call it a ‘Gratitude Genre’. Please note, some movies can give you goosebumps if you are watching them for the first time and will teach you the lesson of gratitude at the same time. 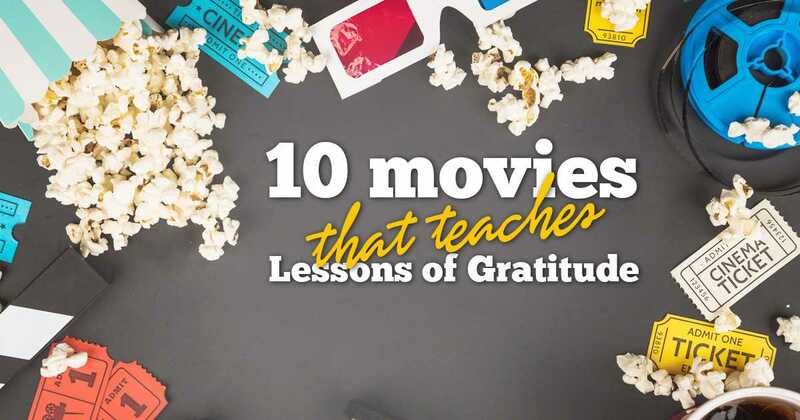 Here are 10 movies that inspire gratitude that you must watch. The movie itself is a ‘box of chocolates’, you never know what you are going to get out of it. It is full of surprises and life lessons. Forrest Gump is a low IQ character in the movie who does all the work which is being given to him. Without complaining about anything, he still feels grateful that he got to do the work. Life Lesson: Love whatever you are doing and do it with all dedication and feel thankful that you have the opportunity to do it. This is about a journey of a father (a clownfish) who is in search of his missing son ‘Nemo’ in the deep unknown sea. In his journey, he finds a co-traveler Dory who inspires him not to give up and helps find his son. Life Lesson: Never give up on something that is very important to you in your life and if the ending is a “happily ever after”, then don’t forget to be thankful. A guy who has an unpaid internship, loses his wife and is left with the custody of his son while desperately hunting for a job, still has hope. 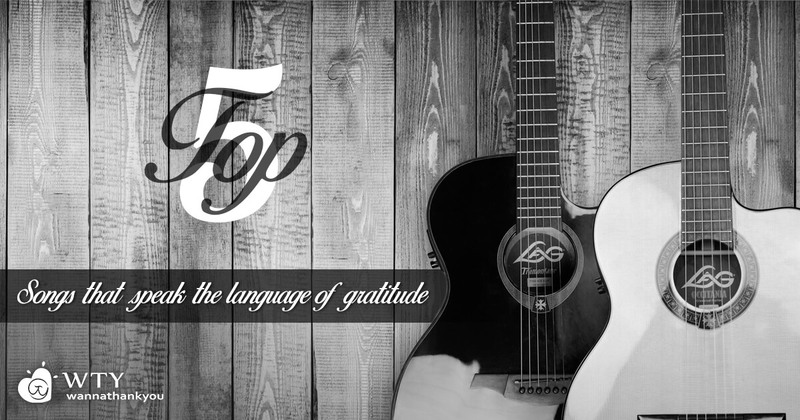 The attitude towards gratitude in this movie is not less than any wealth earned. Life Lesson: No matter what the circumstances are, don’t forget to be grateful, because every act of gratitude counts. An angel sent from heaven to help a frustrated businessman to see how wonderful life is and how he impacted and inspired people around him. Life Lesson: Know the importance of your life and above all know the importance of yourself. Be grateful for what you have and what you are. You don’t know how many lives you are inspiring everyday. Chronicle of a person’s life from boyhood, an adolescent to an adult grown man. The changes he sees in himself was no equal from any other boy of his age. The movie is showing his struggle to accept his sexuality (being homosexual) and at the end being grateful for who he is. Life Lesson: No matter how different you are and how others differentiate you from being normal you are still grateful for what you are. Chirstopher McChandless decides to leave his career, his worldly life and hitchhikes across America and finds new meaning to his life. He finds how grateful people are in spite of having nothing in life but love. Life Lesson: Love and forgiveness is nothing but the form of gratitude you show towards what you have. A seventeen year old Rose belonging to an aristocratic family falls in love with Jack Dawson an artist on the Titanic ship. The ship drowns and Jack dies in the attempt to save Rose. Rose is now old and narrates this story and is grateful for her love. Life Lesson: You should feel grateful for having loved once in your life and be thankful for the time you have or you are spending with them. Pfc. Desmond Doss was honored with Congressional Medal to serve in the US Military, unarmed as a combat medic. He saved 75 men on the battle of Okinawa in WWII. Life Lesson: Never go back on your principles and be grateful for whatever you can contribute to the world. Polish musician Wladyslaw struggles to survive after separating from his family in WWII. Germany takes over Poland and one of the Wehrmacht officer discovers the hidden talent in Wladyslaw, that he is a pianist and saves his life by letting him hide during the Nazi invasion. Lesson Learned: Be grateful to the people who helped you in your bad time and also be grateful for the knowledge and talent you have. It always pays off. Andy - A banker sanctioned to life imprisonment for the murder of his infidel wife. In the prison he meets ‘Red’ and becomes friends and eventually Red helps Andy to escape from jail. In between Andy stays as an unconventional prisoner and establishes a library and helps other prisonerswith education. Life Lesson: Be grateful for your friends and family around you. Be grateful for the freedom you are having. And be grateful for the knowledge you have. You can inspire many people around you. Complaining Is Not A Solution, Being Thankful Is!